As a young girl, Ashley McBryde knew music held her heart and her future even though a lot of people tried to tell her otherwise. Now, after years of hard work and lots of determination, the “Girl Going Nowhere” is right where she always dreamed she’d be. 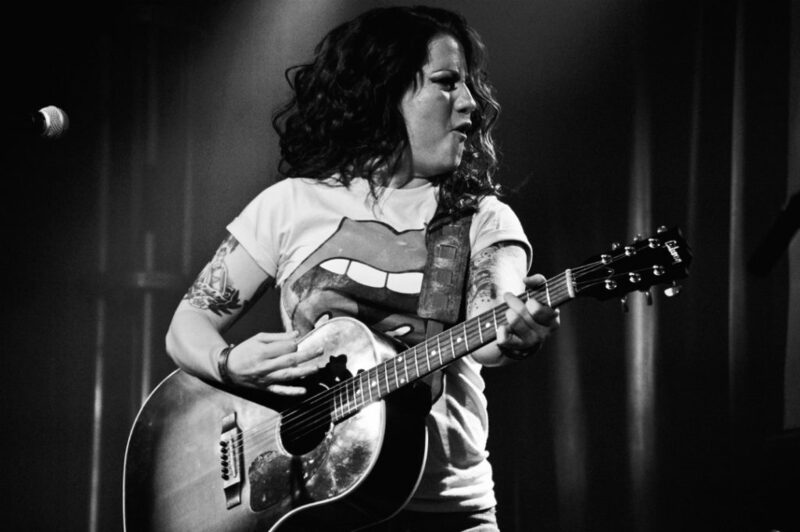 Ashley McBryde is a singer, songwriter, and musician on the move. In the past three months, she’s done shows with George Strait and Little Big Town, toured in England, Ireland, Australia, and elsewhere, and in February attended the GRAMMY Awards in Los Angeles. She was both surprised and honored when her “Girl Going Nowhere” was nominated for Best Country Album. Kacey Musgraves ended up winning the category, but the nomination helped introduce McBryde’s music to a new level of music fans who weren’t familiar with her before. Her album showcased her soulful voice and unique ability to tell a story through a song. Every track paints a vivid picture from “A Little Dive Bar in Dahlonega” to “El Dorado” to the title track she wrote in response to a teacher who, all those years ago, dismissed her dream of becoming a singer/songwriter. McBryde’s gift for songwriting comes from a willingness to dig deep and open her heart. She believes the best songwriters are great storytellers and over the years has watched and studied those who’ve come before her. McBryde got her first introduction to music as a little girl growing up in Arkansas. She’s the youngest of six children. She loved making up songs and playing the guitar and as time went on decided she wanted to do it for a living. Pursuing the dream wasn’t always easy with plenty of people ready to tell her she’d never make it. And yet, she never let anyone slow her down. “I always had this… I don’t want to call it a little voice… it was a big voice in my head that said this is what you’re going to do. And the only way you’re going to do it for a living is to keep doing it,” she says. She went to college to study music education, but soon dropped out and moved to Nashville. She spent the next 11 years writing songs and performing in bars in Tennessee, Kentucky, Arkansas, and other places throughout the South. One song called “Bible and a .44” began getting some attention with its eloquent portrayal of her father, a man known for carrying a Bible and a .44 and who taught her some of life’s greatest lessons. Artist Eric Church even called her up on stage during a show in Chicago to sing the song, and he sang along with her. Then last year, Warner Brothers Nashville released “Girl Going Nowhere,” and things suddenly started taking off for McBryde. Major artists began calling and inviting her to go on tour. It all culminated in December with word of the GRAMMY nomination. Life has been a whirlwind ever since. But now McBryde is ready to focus on her next album. She and her band will head back into the studio in May. It’s almost hard to imagine how far she’s come since those early days in Arkansas. It’s been a long journey, but a meaningful one. And McBryde is grateful.